When people ask for a new band recommendation, one of my first thoughts immediately goes to the band Bully. I may or may not be biased to them because they have a Grunge sound. But it’s because of a nearly missed show I happened to catch in Portland, Oregon back in 2014-2015. As they played to a single red light bulb and maybe 15 people. Ever since then Bully has become a band I cannot only shake but, continues to enthrall with each new release. Officially from Nashville, Tennessee the three-piece band consisting of Reece Lazarus, Alicia Bognanno, and Clayton Parker. Who as a band gravitate towards a D.I.Y. music video premise each time a new song appears on Youtube. As for a specific genre, Grunge (personally) seems like the closest call. Based on lyrical content, bass arrangement, vocally as the valley’s are harmonized until the peaks come out at top volume. Feels Like Bully’s debut in 2015, ironically in the branch of two-plus years Bully have been through the ringer. With changing labels and having a ton of material for their next album… oh, yeah and those years couples with life experience that happens unexpectedly. Even as this year has barely made a mark, Bully is scraping the ground with their knees as they slide into home. Yes, (obvious baseball reference) however, Losing shows a preemptive strike towards innocence, life-actions, and all the strange circumstances accompanied with being a band. More effectively singer/guitarist Alicia Bognanno channels a devil may care attitude while presenting a bored attitude. It’s not that Bognanno is bored at all, rather the opposite. On a scale between “not caring and so what it happened”. 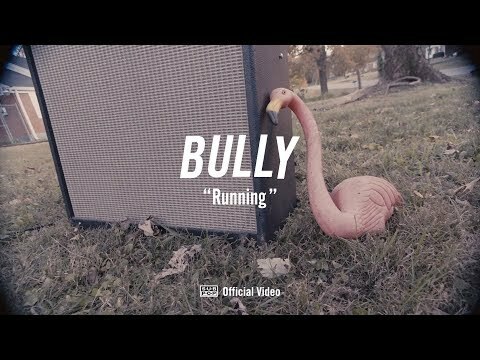 If you like The Breeders, Pixies, Dinosaur Jr. and early Flaming Lips give Bully a listen. Now as Bully has paired with Sub Pop records, their newest album Losing came out Oct. 20th, 2017.